This report says that councils have become more rigorous in their management of early retirement. Councils are commended by the Commission for taking account of the full cost of early retirements and for allowing early retirements only when the cost is balanced by potential savings. The Commission first looked at early retirement in 1997 and found that its use was widespread and costly. Following this the regulations governing early retirement have been tightened up. 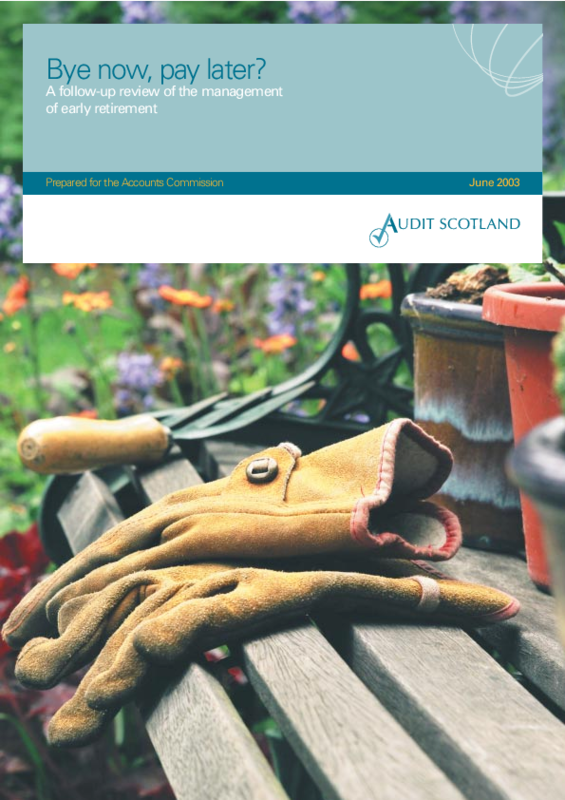 In 1997 the Commission made a number of recommendations and highlighted the need for councils to consider the full cost of an early retirement, which includes the cost of paying the pension early, when making early retirement decisions. This report reviews the progress that individual councils have made in their management of early retirement.